— I posed this question at wyosports.net, but do you think Air Force is a rivalry game for the Cowboys? I say it is. Maybe not on the scale as the Border War with Colorado State, but honestly, I don’t think it is that far behind, either. The two teams play for the 56th time Saturday, and for the 38th consecutive year. It is the sixth-longest series versus an opponent in UW history. Nine of the last 12 games have been decided by 10 points or less. Would love to get your feedback on this. Check out my story in Friday’s Wyoming Tribune Eagle and Laramie Boomerang, and also at wyosports.net on what players from both teams think about this. — “I’m feeling a lot better than I was a few seconds after that play. My right arm came back quicker than the left, and it took quite a while for my left hand to come back to me. My neck is a little stiff. 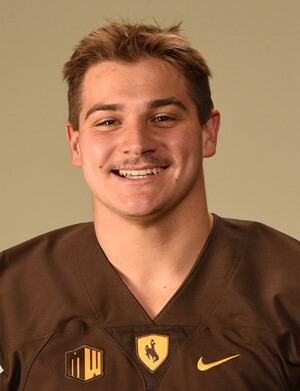 But I will get into the chiropractor this week, get a little massage and I’ll be ready to go.” — UW senior fullback Drew Van Maanen on how he felt early this week after his diving catch on the Cowboys’ game-winning scoring drive last Saturday against Colorado State. Van Maanen suffered a “double stinger” according to coach Craig Bohl. — This game features another strength vs. strength matchup. UW (6-3 overall, 4-1 Mountain West) is second in the MW in scoring defense (18.6 points per game) and Air Force leads the league in scoring at 34 points per contest — despite being shutout 21-0 last week at home against Army. The Cowboys have held four teams to 14 points or less this season. Air Force (4-5, 3-2) has scored 34 points or more six times. — The Cowboys have won three of their four conference games this season by seven points or less, and a combined 15 points. “It starts with coaching, and it is tough to lose when we take care of football and the defense has been playing as well as it has. That’s what we’re going to contine to do.” — UW junior quarterback Josh Allen. — I mentioned my No. 1 key for the Cowboys in this game earlier, but looking back at last season’s 35-26 UW home victory over Air Force I discovered another key — balance on offense. UW ran for 189 yards and threw for 173. I’m not sure the Cowboys are capable of running for 189 yards, but now would be as good as any to find that balance. — Can you guess how many freshmen — true or redshirt — have played for UW this season? Twenty-three, including 11 true freshmen, six of which have started games. — Finally, at the end of his weekly news conference Monday, Bohl was asked what the keys to this game will be. “Limit explosive plays as far as the quarterback getting to the alley, the fullback dive or in the passing game. We need to be plus-two or better in the turnover margin and offensively, we have to be able to move the football,” he said. Can’t argue with any of that. — Although this won’t help this week, Bohl said Wednesday junior nose tackle Sidney Malauulu (knee) could return as early as next week. It is probably more realistic that he could play in UW’s regular-season finale at San Jose State Nov. 25. Still, that is good news for an interior defensive line that is down to three healthy players. 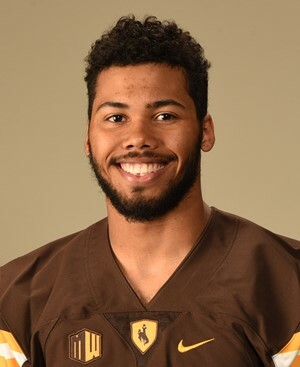 See Saturday’s Wyoming Tribune Eagle and Laramie Boomerang, and log on to wyosports.net, for a feature on UW junior safety Marcus Epps and how his life changed dramatically last year. There also will be more preview content for the Air Force game. This entry was posted in Football and tagged Air Force Falcons, Craig Bohl, Drew Van Maanen, Josh Allen, Kellen Overstreet, Marcus Epps, Mike Bath, Sidney Malauulu, Troy Calhoun, Wyoming Cowboys, Wyoming Football by Robert Gagliardi. Bookmark the permalink.